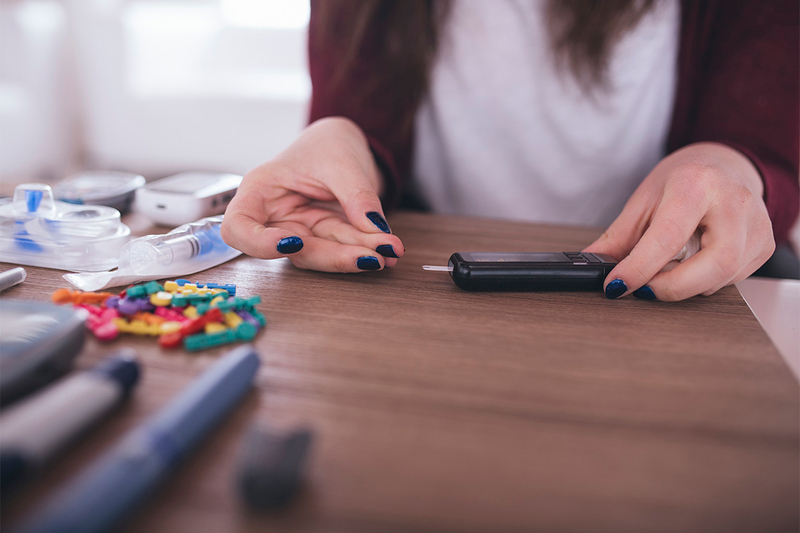 Young people who develop type 2 diabetes earlier in life have an increased risk of developing a serious mental illness before age 40, according to a new University of Toronto-led study. The study, led by Calvin Ke, a PhD student at U of T’s Institute of Health Policy, Management and Evaluation, found one-third of hospitalizations for patients with younger onset diabetes resulted in a diagnoses for mental illness, including bipolar disorder, schizophrenia and depression. “Why are people with diabetes more likely to end up with depression or other mental illnesses, and why are people with depression more likely to get diabetes?” said Ke, whose research is focused on the rising rates of younger onset diabetes in Asian populations in Toronto and Hong Kong. Ke (left) conducted a population cohort study of young adults with type 2 diabetes ranging in age from 10 to 40 years old. He found younger people with diabetes were more likely to be hospitalized before the age of 40, and that there was a consistent rise in the number of hospitalizations due to mental illness when compared to other categories such as a heart attack or stroke. The results were recently published in the journal Annals of Internal Medicine. People with younger onset diabetes are thought to have a more aggressive type of the disease compared to those who develop diabetes later in life. Among Asian populations, one in five adults with type 2 diabetes have the young onset version of the disease, and are at a greater risk of developing more complications. That, in turn, puts a significant strain on the health-care system. Some of the complications arise from the gaps in the management of their disease, including ineffectively obtaining target blood sugar levels. “The gaps in management exist for many reasons – young people often lead busy lives and may be going through psychosocial and developmental changes that can make it even more challenging to manage their disease effectively,” said Ke. While individuals can develop type 2 diabetes at any age, the fact that rates of earlier diagnoses are climbing in younger individuals is of concern to many health-care providers around the world. “We need a better strategy to manage younger onset diabetes, one that includes an integrative approach that addresses the needs of the patient as a whole, including their psychosocial needs and mental health,” said Ke. Hong Kong’s health-care system, much like Ontario’s, operates in a fragmented way. People with diabetes are cared for in primary care settings or in specialty clinics, while a mental health specialist might look after a patient’s mental health needs separately. Rarely is there communication between the two. The study also urges health-care providers to establish better control measures to address cardiometabolic risk factors – the risk of someone developing diabetes, heart disease or stroke – as well as mental health. In Hong Kong, where the study was conducted, some attempts to manage the development of type 2 diabetes have been tested. They include the use of a system-wide registry that tracks siblings, children and parents of individuals with the disease and screens them earlier in the hopes of reducing the risk of complications and hospitalizations over their lifetime. “I think for people with diabetes, there are some excellent examples of initiatives in place to identify and track patients to ensure they receive the appropriate care, or educate them about the disease so that they are better able to manage it,” said Ke. The research was supported by the Canadian Institutes of Health Research, among others.